Lewis Carnie and Paul Rodgers have been promoted to the roles of head of Radio 2 and head of 6 Music respectively under a restructure announced by Bob Shennan, the new director of BBC Radio and Music. The pair step up from their previous positions as head of programmes at the stations. The announcement comes in the wake of Shennan, the former controller of BBC Radio 2 and 6 Music, being elevated to his current role, which encompasses all BBC radio stations. 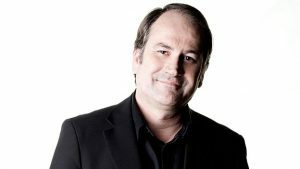 There will be no direct replacement in the controller role at Radio 2 and 6 Music, with Carnie and Rodgers reporting directly to Shennan and overseeing the day to day output for the stations. Shennan explained: “I decided not to create a controller position because my role is slightly different from previous directors of Radio; I won’t be on the BBC’s Executive Board and as a result I expect to be able to remain more closely involved in the direction and development of both Radio and BBC Music, to be more ‘hands-on’. He confirmed that Lorna Clarke, head of production for Radio 2 and 6 Music, will continue to report directly to him. Jeff Smith continues as head of music for Radio 2 and 6 Music. Shennan also announced that Jan Younghusband, commissioning editor BBC Music, will move into the Radio and Music team and report to him, allowing him to create a single Music Commissioning team responsible for all TV, radio and online commissioning "under one roof".